I sent a message to Ricky Gervais' Twitter account asking him to host these awards, and have had no reply so you will have to make do with my scathing British humour and British spelling. 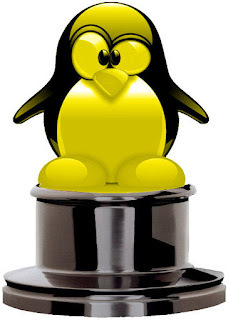 Best Product Review Slap the Penguin is regarded as one of the leading authorities for reviewing products. Knowledge and honesty are the two major factors for hundreds of companies not asking to be reviewed on our pages. From Wrangler jeans to The Snuggie to Trojan condoms, we will review anything if you send us a sample. Send us a few samples and you get a better review. The award for the best product review of goes to New Depends. Tina Cruris is our resident advice columnist or as we Brits say, Agony Aunt. Agony seems to be a fitting descriptor. Have you read her posts? The bulk of people who write in for advice seem to have problems of a sexual nature. Bored in the Bedroom, Vajazzling, the guy with the golf euphemisms. Someone needs to ask her how to change their spark plugs or care for their ailing cactus. The award for the Best Advice given in is for Manscaping. Brad Naylor is tone deaf, opinionated and stuck in the 80's so he is our main reviewer of the weekly new CD releases here at MTN. We have trawled through his reviews and could not find anything that he had written positively about so we tossed a coin. The award for Best New CD Release goes to Rascall Flatts for Nothing Like This. At Slap the Penguin, we believe that a picture is worth 1,000 words. No we are not duplicating the awards, just the introductions. Sometimes a picture captures the attention better and faster than the most ingenious headline. Using a barely related image, usually with a sexual lilt to grab readers happens occasionally and today we celebrate one of those occasions. The winner of the Most Unrelated Gratuitous Image award goes to Check Her Out. Jack Stropp was inducted as a WTF? agent and is the leader in delivering WTF? stories to our readers. These are the kind of stories that make you scratch your head and say WTF? That's why we chose Jack, he makes us scratch our head and say WTF? Everybody loves a good top 10 list, and maybe one day we will write a good top 10 list. In the meantime you can just check out the ones we have written. We are now getting to the bits that everyone has been waiting for. These awards will be tomorrow's headlines. The Slappys equivalent of best actor/actress. This category celebrates the input of female celebrities on our site. The women who make the news interesting and exciting. The following 3 nominees are what our readers come back for. 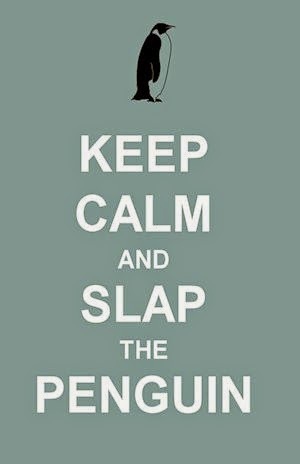 They make Slap the Penguin what it is, a popular satirical news blog. In no particular order your 3 top women are Lady Gaga, Flo from the Progressive Ads and Sarah Palin. The award for Female Celebrity of 2010 goes to Flo from the Progressive Ads. The same as above but I don't want to sleep with any of them. Actually I don't want to sleep with any of the female nominees either. The top 3 men of 2010 are Brett Favre, Cigar Guy and Elvis Presley. The award for Male Celebrity of 2010 goes to Elvis Presley. Our last award goes to a person who has been astounding throughout their entire career. A career that refuses to quit. In the few months since Slap the Penguin was born, this person has appeared on our pages more times than any other person. His behaviour and performance have kept STP writers and reporters busier than the Minnesota Vikings defence. I am honored to present the first Slap the Penguin Lifetime Achievement Award to Brett Favre. That's it for the awards. Congratulations to all the winners. “Oh well” to all the losers. 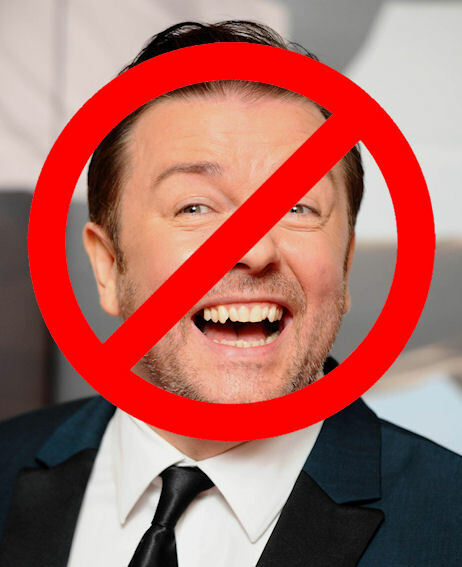 “Screw you” to Ricky Gervais for not replying to our Twitter request. Thanks to all those who voted for me. I am pleased to accept this award. I would like to take this opportunity to announce that until further notice, I am retiring from professional football. Or until someone offers me a $5M contract for a season, not you Buffalo.